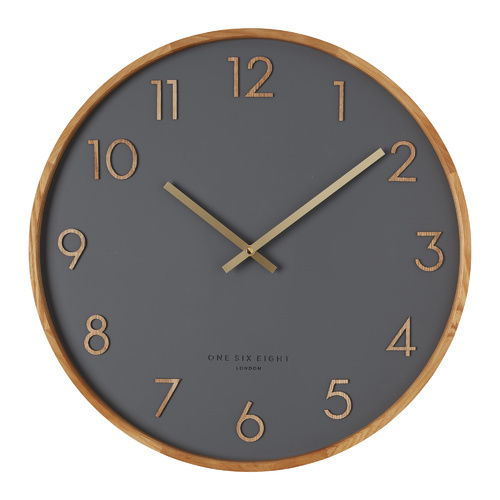 Characterised by understated elegance and a classic design, the Evie wall clock by One Six Eight London would complement any interior scheme. 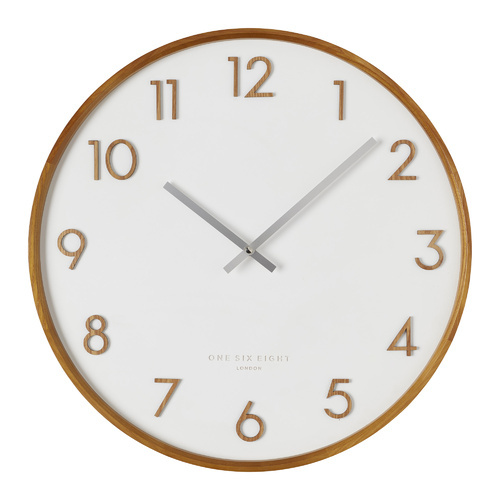 The neat look is subtly enhanced by raised wooden Arabic numbers. 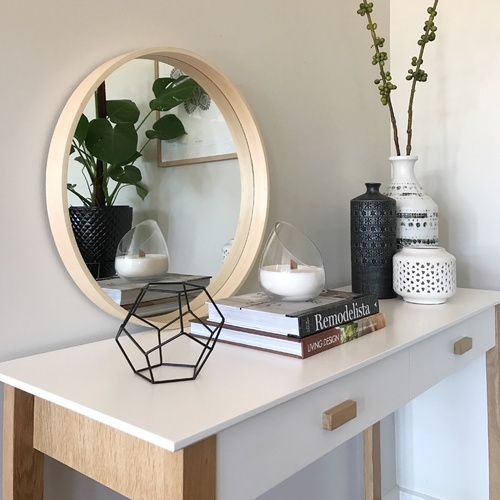 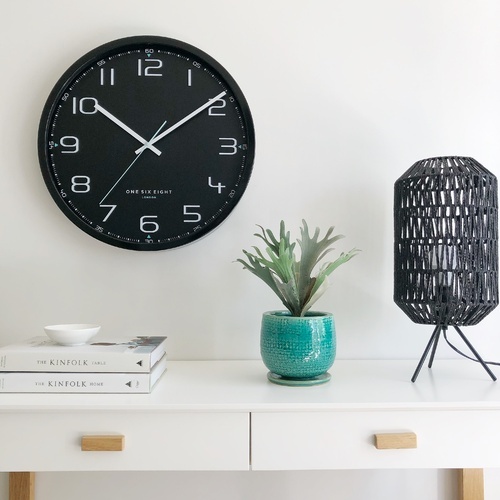 The clear face allows for effortless timekeeping and creates a simple yet striking focal point in the room. 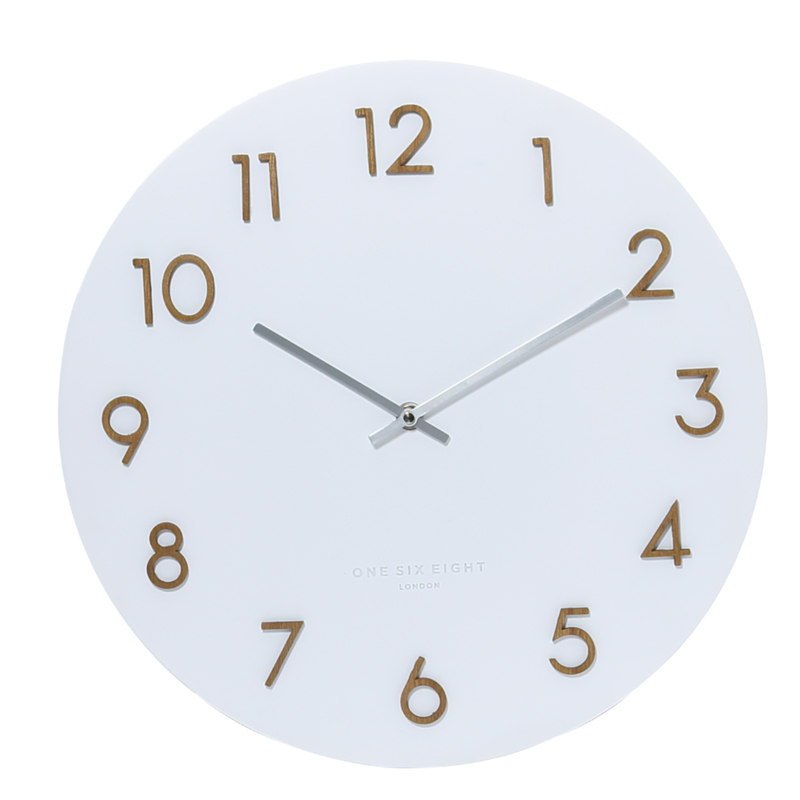 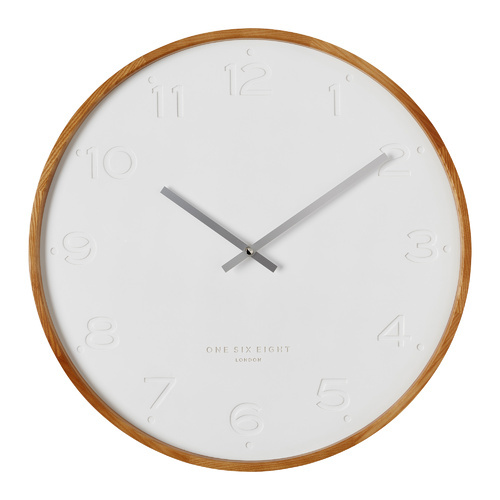 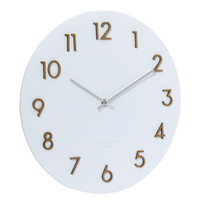 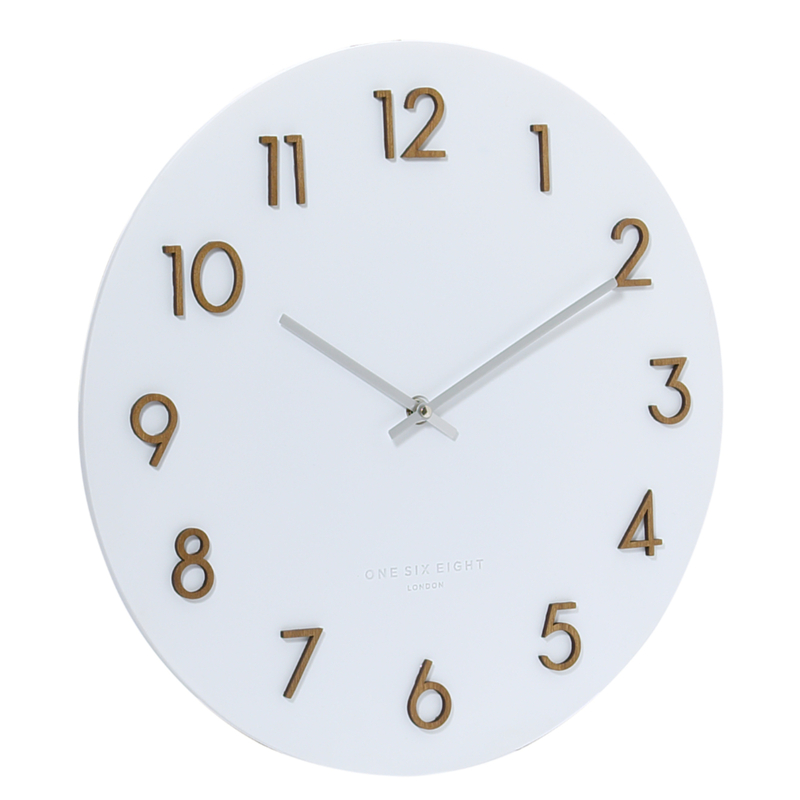 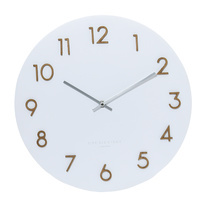 Incredibly stylish, the Evie wall clock captures the essence of Scandi simplicity. 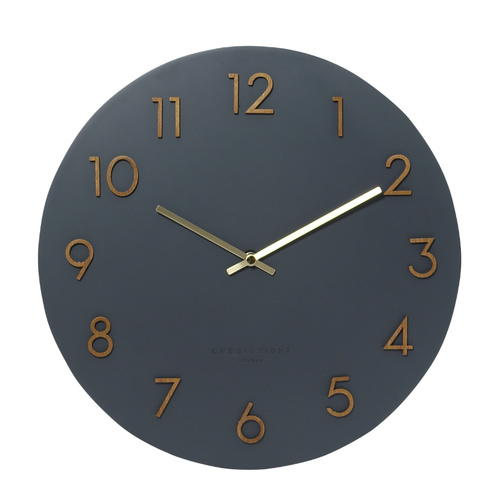 This is a highly contemporary piece built on conventional clock design.